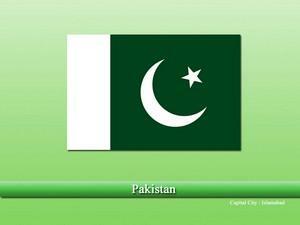 Pakistan, officially the “Islamic Republic of Pakistan” is an independent country located in South Asia. The remains of some of the earliest civilizations are found in the regions of undivided India (Hindustan). This means that the present Pakistan area is inhabited by some of the earliest humans. The Indus Valley Civilization was one of the largest and most crucial civilizations in history. In the later ages, due to its strategic location, the region was occupied by several empires like Greeks, Mongols, Persians, etc. Islam started to arrive in the region by the 8th century afterward “Muhammad bin Qasim” captured Sindh. Later on, it was attacked or occupied by several Muslim kings until the Mughals arrived. The Mughals totally changed the outlook of the region and introduced several changes, built several architectural monuments, forts, palaces etc. By the 18th and 19th centuries, British influence in the region grew and the Mughals along with several other princely states were occupied by the British. The fate of the whole subcontinent was not in the British hands and established a colonial government. This was one of the hardest times in the history of the local people marked by British brutality, taxes, slavery, massacres, famines and lack of freedom. The British also looted much from the region to keep its war machine running and left the people in desperate condition. After a long period under occupation the people of the region soon realized the actual situation and demanded the British to withdraw, protests were held in the whole region and under the leadership of prominent leaders like Mahatma Gandhi and Vallabh Bhai Patel etc, the region soon got independence and a separate country of Pakistan was created in 1947. Since then, Pakistan is the Islamic Republic with a democratic government. Also, the country offers religious freedom to all sections and protect their rights. There is some controversy in this statement. Anyhow, we are waiting for the more facts of the other religious people status, position, safety, strength, the standard of living, security etc. Pakistan is ranked as one of the best and diverse countries to be visited. Physically Pakistan is located in an area where all bands of land can be observed, from the lowest altitude plains to one of the highest mountain peaks on the other side. Three major physical regions of Pakistan include Mountains, Plains, and Plateau areas. In addition, there are several rivers, exotic and hear touching lakes, valleys, deserts, and greenbelts. “K-2”, the world’s second highest mountain is also located in Pakistan near China border. The country is all so blessed with four different seasons around the year. The country also provides transit and transport facilities to the Central Asian landlocked countries. The area that now forms Pakistan had a distinct cultural identity, even in ancient times. Several modern and ethical civilizations flourished in the region. Today, approx. 96% of the total population are Muslims. The country also is ethnically diverse with several ethical groups like Punjabis, Pathans, Balochis, Sindhis, Hindus, etc are living in the country. Urdu is the National language of Pakistan and also serves as lingua franca. While different areas have their own respective languages. In the past, Martial laws and other political instability events had damaged the economy on large scale, and in the 21st century, terrorism destructed a large portion of its economy. At present Pakistan Government receiving huge warnings from different countries to eliminate terrorism and stop aiding terrorists. Spiritual Places Katas Raj Temples, Krishna Mandir, Hindu Temple, Ganesha Temple, Sharda Peth, Bara Dari, Wangari Garan Temple, Suraj Kund Temple, Old Temple, Shivala Mandir, Abbasi Mosque, Al-Sadiq Mosque, Aqsa Mosque, Amburiq Mosque, Badshahi Mosque, Bait-ul Atiq Mosque, Begum Shahi Mosque, Bhong Mosque, CMH Masjid Jhelum, Dai Anga Mosque, Data Darbar, Faisal Mosque, Faizan-e-Madinah, Grand Mosque Allahabad, Grand Jamia Mosque, Jamia Masjid Banbhore, Jamia Al-Kauthar, Jamia Masjid Umar Farooq, Qasim Ali Khan Mosque, Nevin Mosque, Shah Jahan Mosque, Shahi Mosque, Sunehri Mosque, Tooba Mosque, Wazir Khan Mosque. Northeast kitchen remedies in Hindi? Which facing house is best as per Vastu?